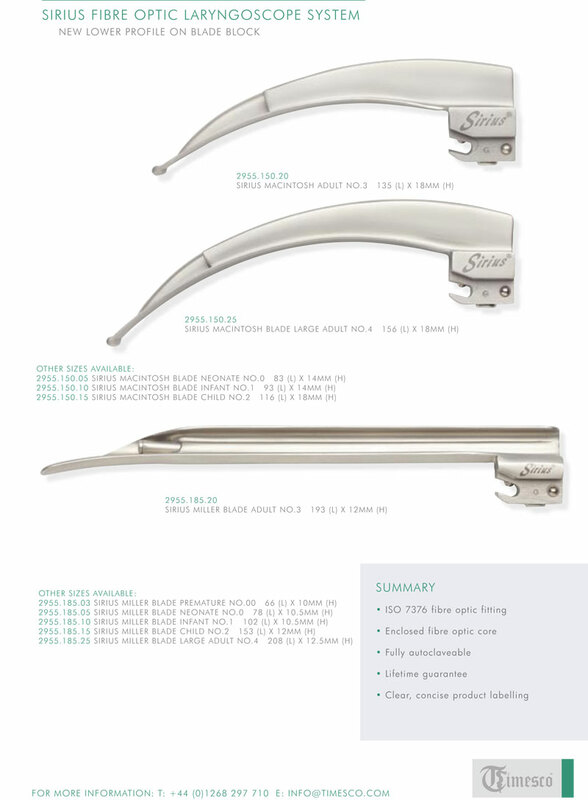 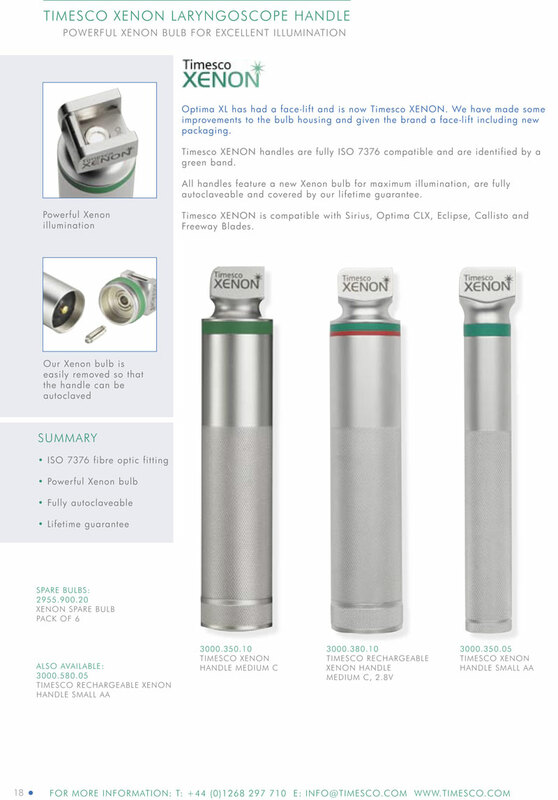 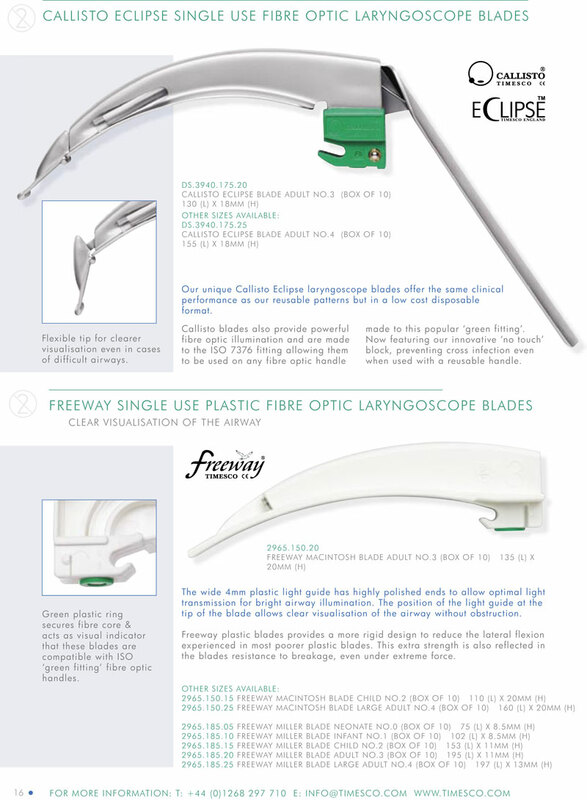 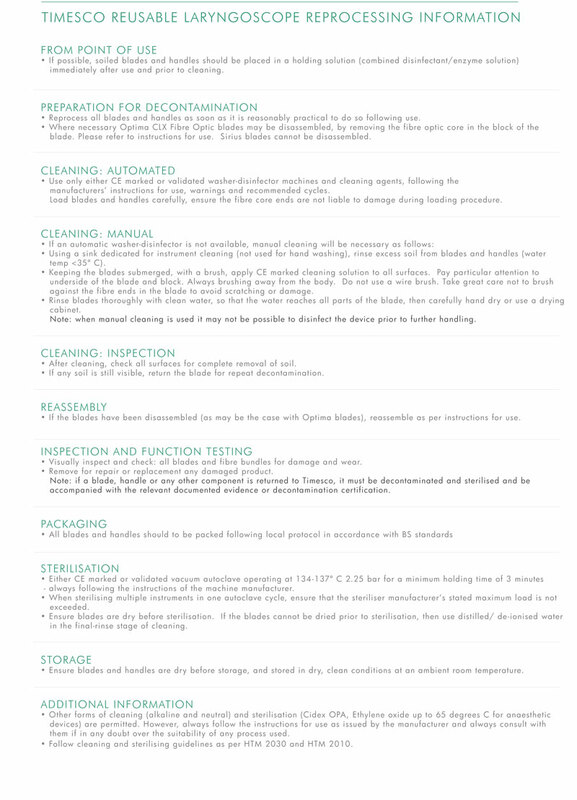 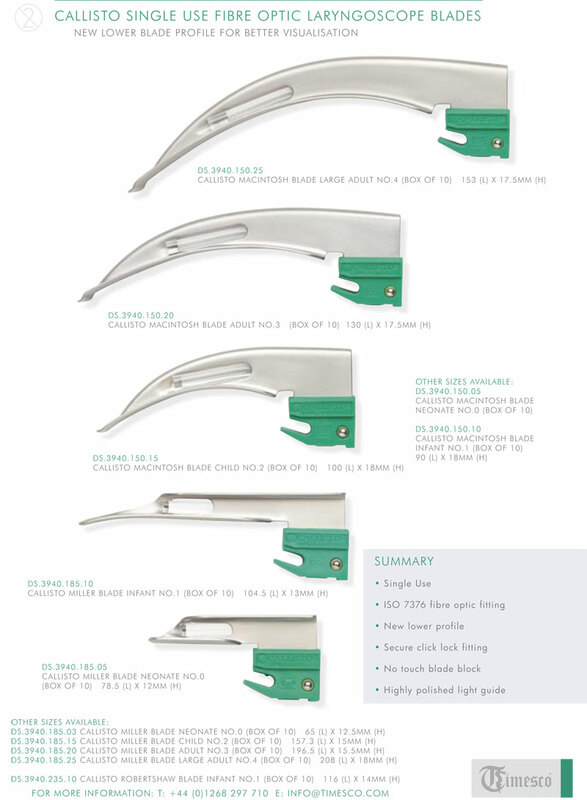 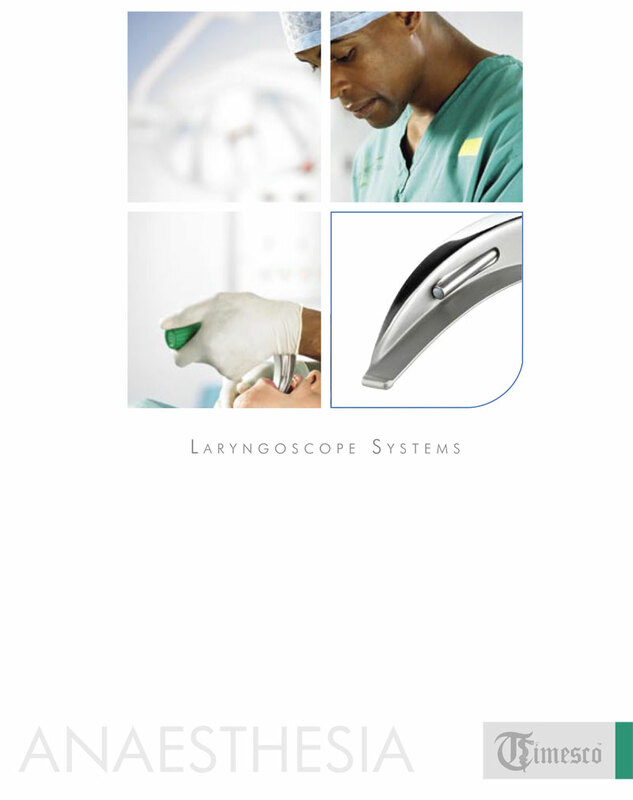 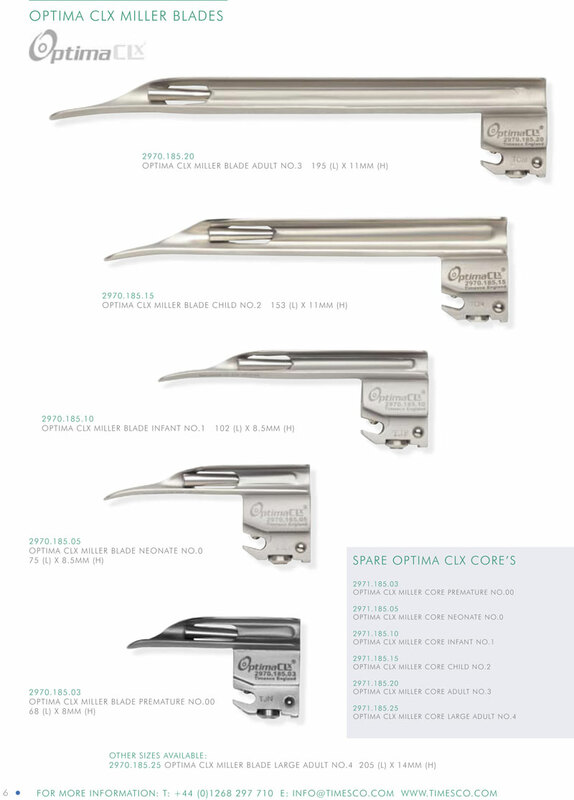 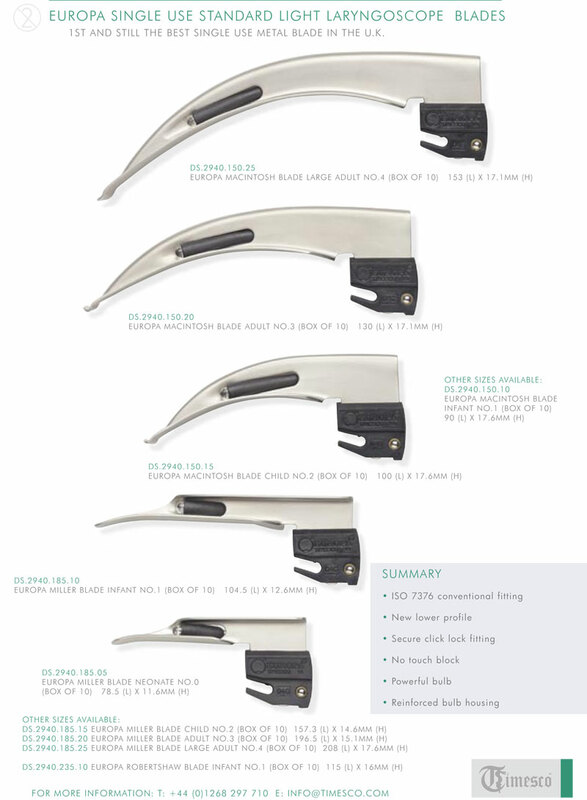 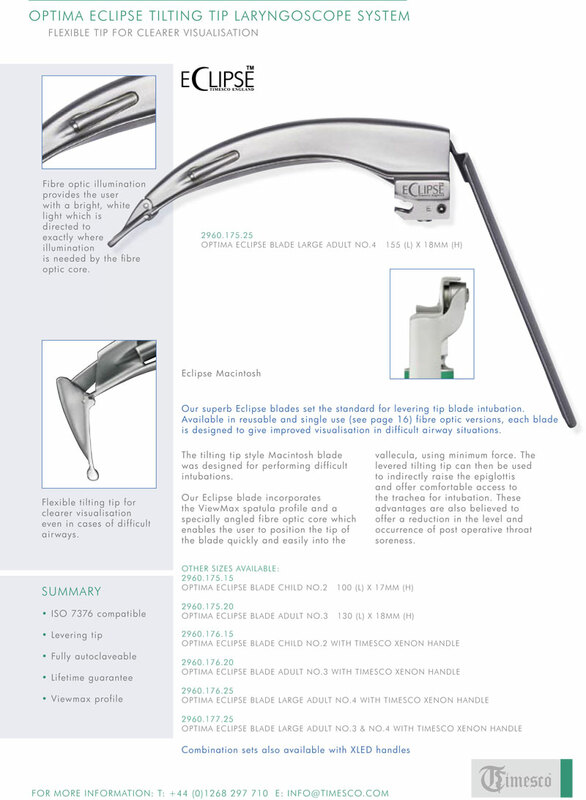 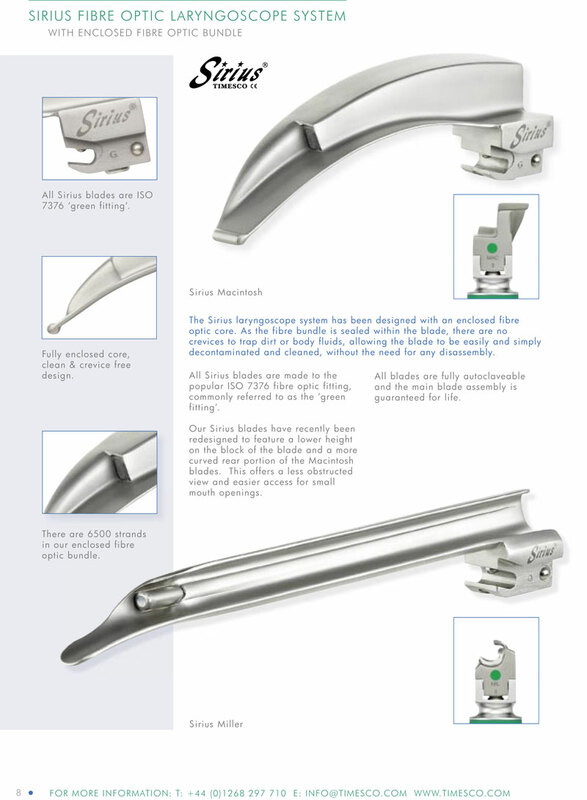 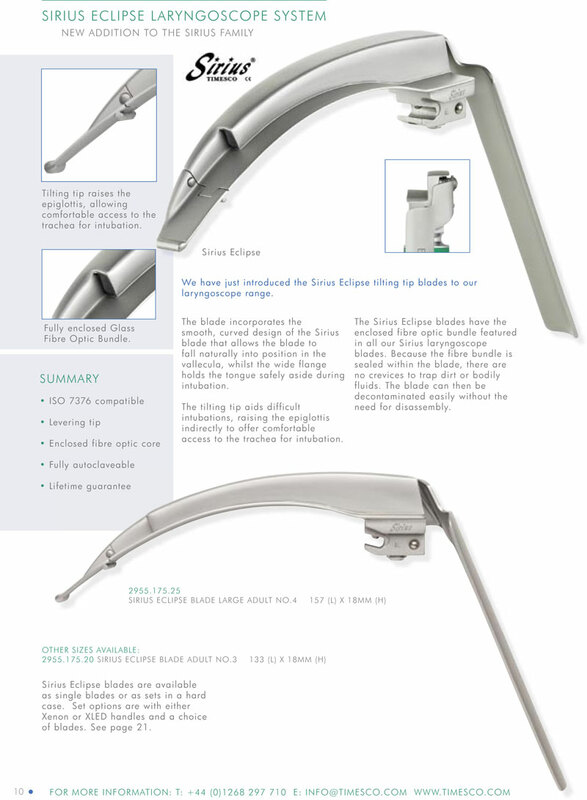 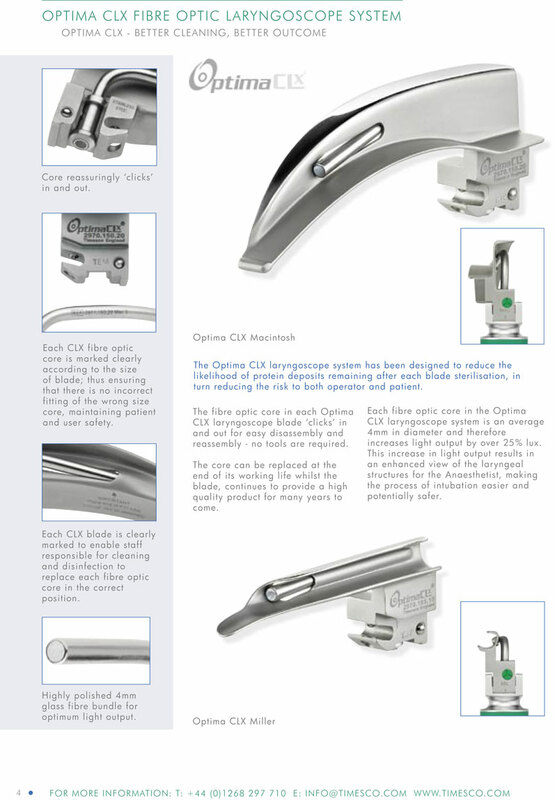 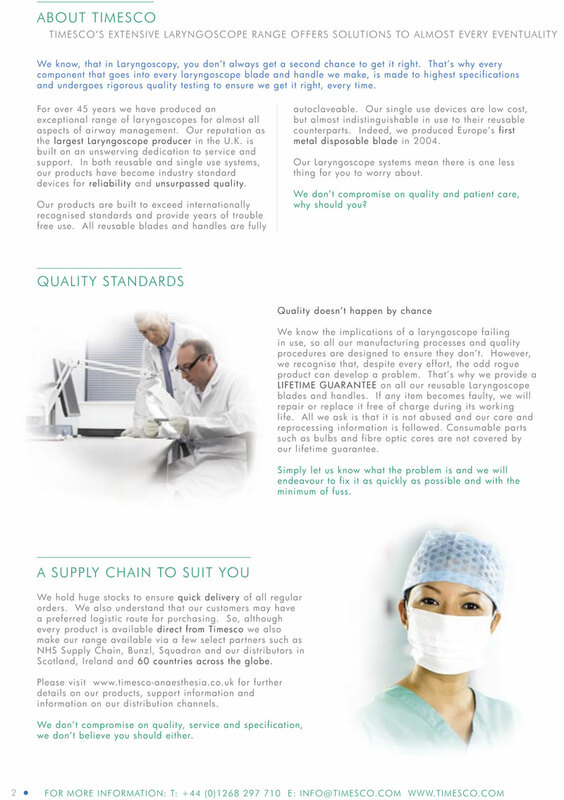 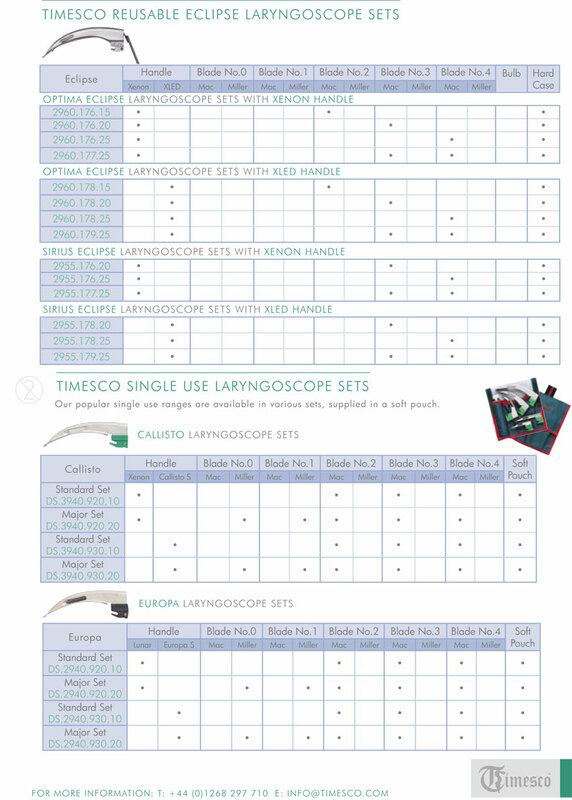 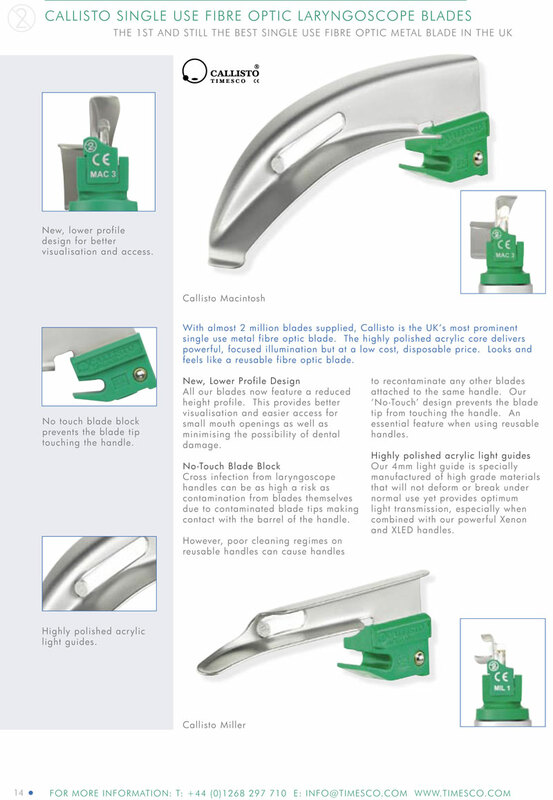 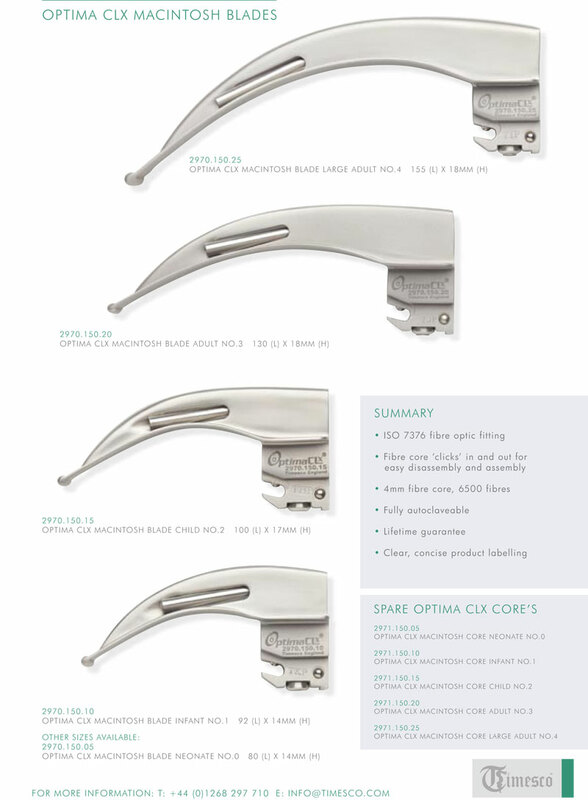 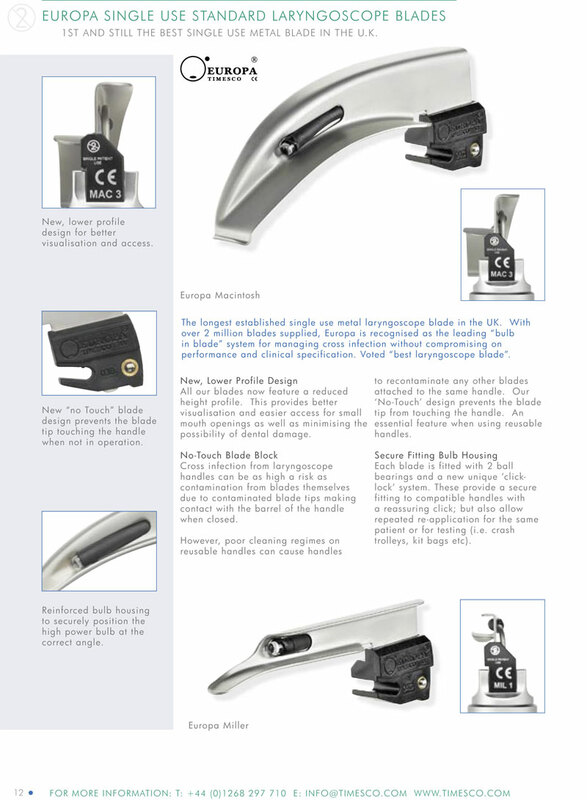 Disposable and reusable laryngoscope, handles, blades. 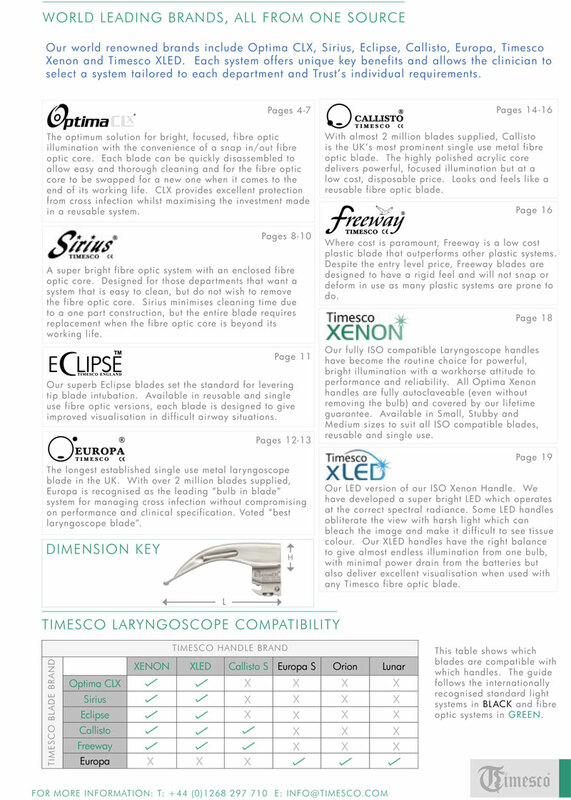 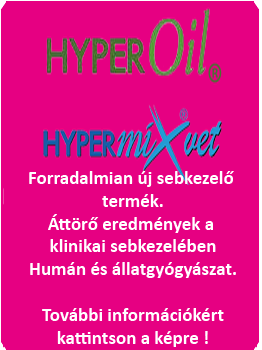 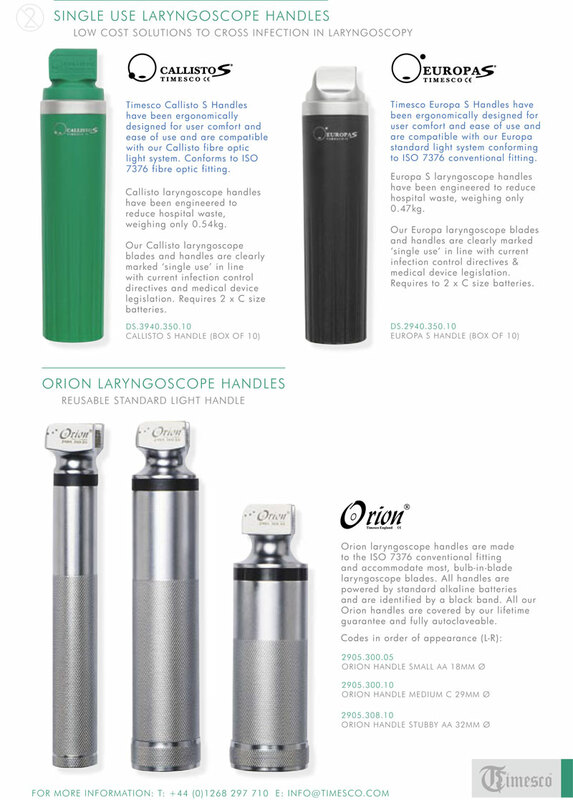 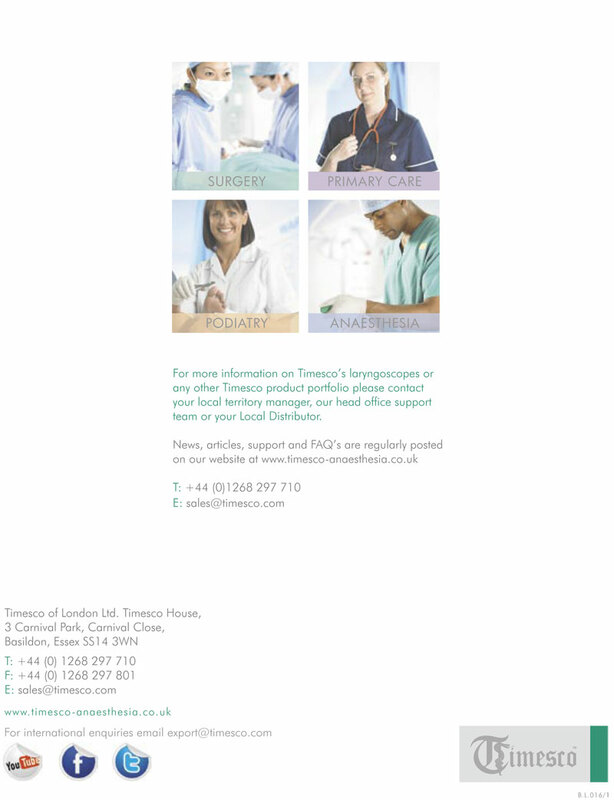 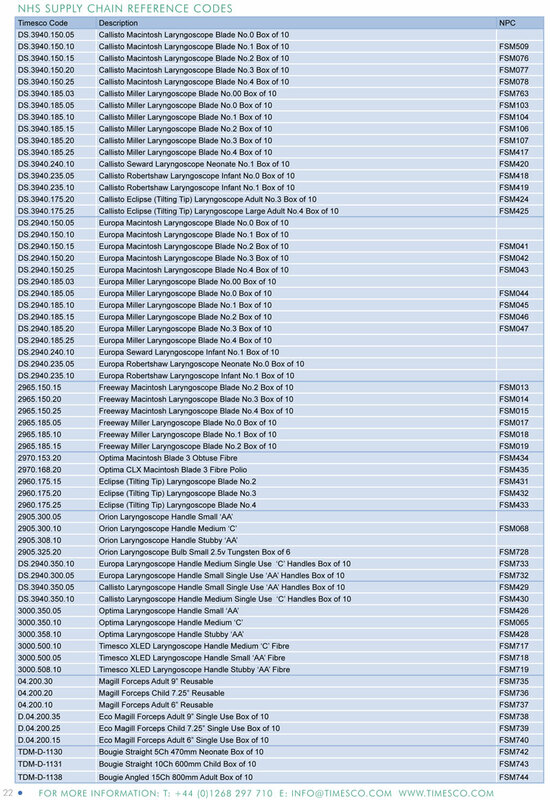 Timesco Optima CLX, Sirius, Eclipse, Europa, Callisto, Orion. 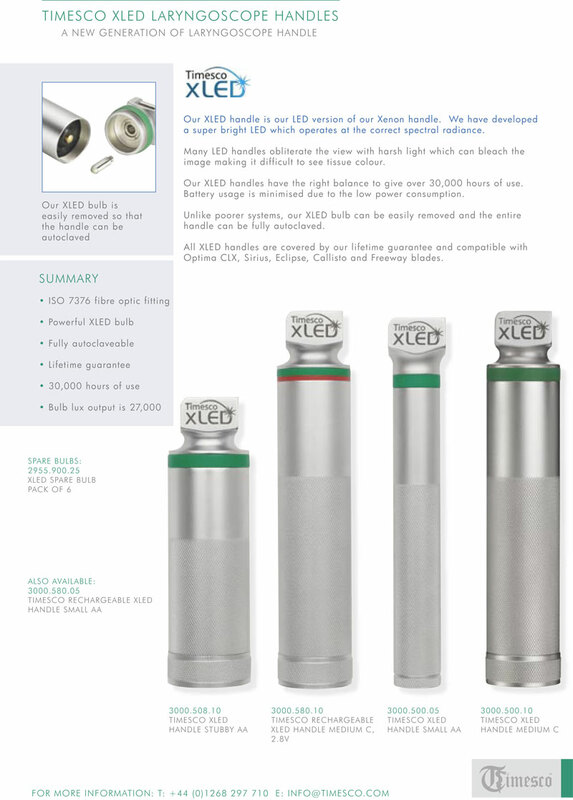 Handles with XENON and XLED bulbs, non chargeable and rechargeable. 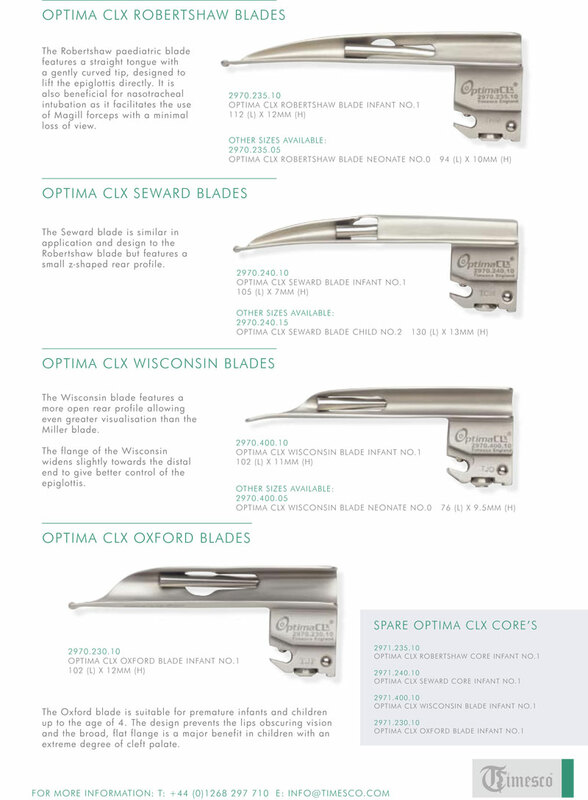 Blades MAC Macintosh, Miller, Robertshaw, Seward, Wisconsin, Oxford, Eclipse (flexible tip) with replacable and enclosed fiber optic core.